Ahneen, Boozhoo! The Chippewas of Georgina Island have a rich history and are the indigenous people descended from a larger group known as the Chippewas of Lakes Huron and Simcoe. Their beautiful culture and Ojibwa language is tied to their connection to Lake Simcoe, originally known as Ouentironk (“Beautiful Water”). Traditionally, the Chippewa people have always been protectors of the Lake Simcoe watershed since time immemorial. Georgina Island is home to the Chippewa people, and it is a close knit, caring community. It is accessible by boat during warm weather, when the island is bustling with cottagers and residents enjoying the lake and time with family. Once the lake is frozen, access is restricted to hovercrafts and an ice road that is maintained by the Band Administration and is for the island residents. The Boondocks Restaurant, where the food is delicious, the atmosphere is friendly and you can see the best sunsets over the water! The Island View Business Centre promises to provide people with a unique shopping, dining and marina experience! 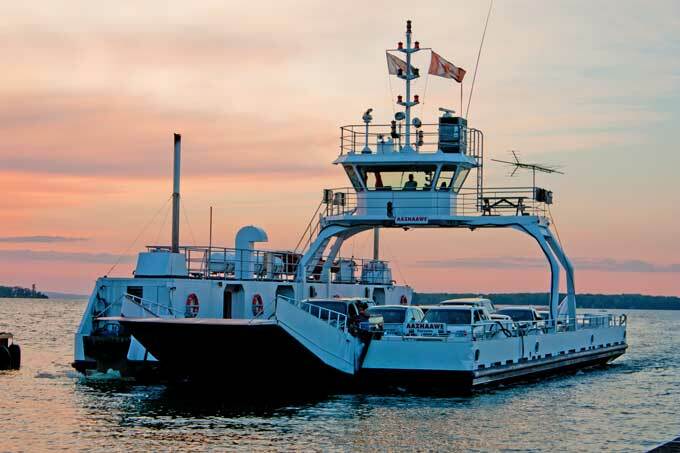 You will arrive on Georgina Island First Nation after a peaceful 15 minute ride across the lake on the Aazhaawe ferry boat (Ojibway for “to go across”). Nature lovers and outdoor enthusiasts will enjoy walking, hiking, or biking on Nanabush Trails. Once you arrive on the island you will walk a short 400 metres from the ferry landing to Hello Road. These self-guided trails have been constructed within the beautiful forests of Georgina Island First Nation as part of the community’s forest management strategy and have been developed to assist the community in teaching today’s generation of the traditions and historic activities of this Chippewa community. The trail system is divided into four trail segments that all offer a unique learning opportunity. Each trail is marked with seven points of interest, as well as being lined with exhibits, wildlife viewing areas and unique opportunities to safely examine wetlands. To see a map of the trail, click here. The Neezh Meegwunun Campground is the perfect getaway! You can book a camp site right on the shore of the lake, or reserve your stay in a cozy cabin if that is more your style. Bring your own food and a barbeque, or dine at the Eagle’s Nest Restaurant, located on the campground. With your Aboriginal host, Paul Big Canoe, experience a unique family camping adventure. The Neezh Meegwunun family campground offers a large family day-use area that has a beach and access to hiking trails. If camping is not your cup of tea, there are many cottages to rent on Georgina Island. For some ideas of where to stay, you can visit this directory. Pow Wow means gathering, or celebration. 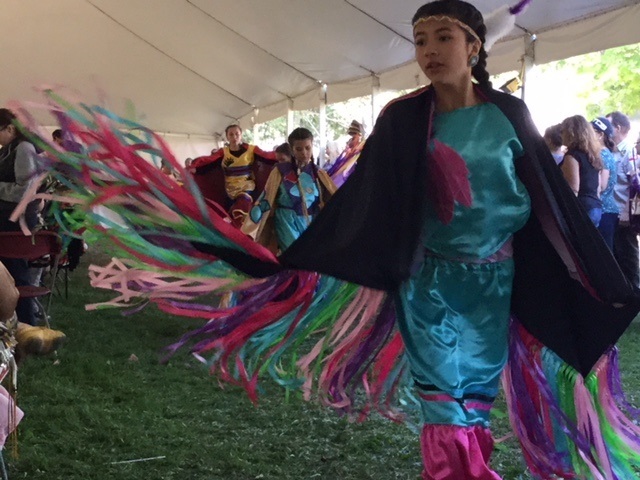 Every year, the end of the summer brings with it the annual Georgina Island Pow Wow. This event is held in partnership with Sibbald Point Provincial Park. Come join us and enjoy traditional foods, dances, songs and stories! 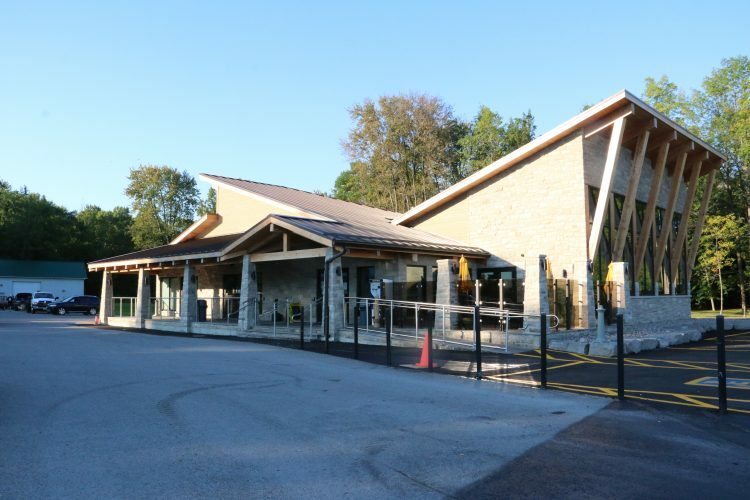 For more information about visiting the island, including ferry boat schedule and fees, please visit the Georgina Island Tourism and Policies page. Our community would like to remind visitors to be respectful of our First Nation including obeying the local speed limits and refraining from littering.